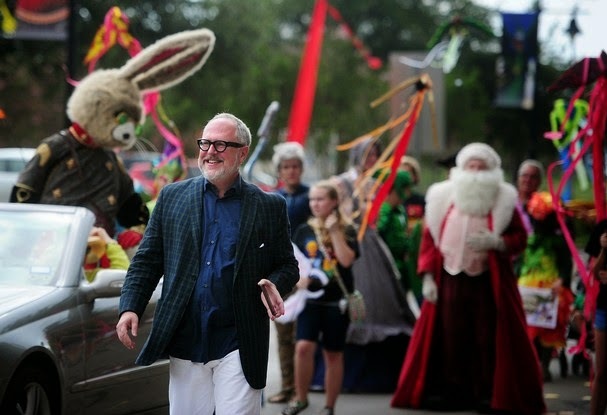 William Joyce was born in Shreveport in 1957 and took up drawing at an early age. His talent was encouraged by his parents and teachers, and he began to dream of one day writing and illustrating his own books. One of his early works, Dinosaur Bob and His Adventures with the Family Lazardo, sold so well that he later expanded the story. artwork has shown up in major publications such as Spy and Entertainment Weekly, and The New Yorker has used his work on its covers. Joyce has received three Emmys for Rolie Polie Olie, an animated series based on his series of children's books that airs on the Disney Channel. His second television series, George Shrinks, airs daily on PBS stations. 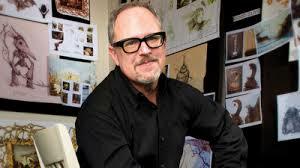 Joyce created conceptual characters for Disney/Pixar's feature films Toy Story (1995) and A Bug's Life (1998). In 2001, after Joyce and Ice Age director Chris Wedge failed to adapt one of Joyce's books to the screen, Santa Calls, they both came up with the idea for the animated film Robots (2005). Besides being one of the creators, Joyce also served as a producer and production designer. In 2007, Disney released Meet the Robinsons, a movie based on his book A Day with Wilbur Robinson, to which Joyce served as one of the executive producers of the film along with John Lasseter and Clark Spencer. In August 2009, Joyce and Reel FX co-founder Brandon Oldenburg founded a Shreveport-based animation and visual effects studio MOONBOT Studios. The studio produced an Oscar winning animated short film and an iPad app called The Fantastic Flying Books of Mr. Morris Lessmore. A book adaption was released in late 2012. The studio released in January 2012 another app, Numberlys, with a short film and a book announced to come later. His book, The Leaf Men, was adapted by Blue Sky Studios into a 2013 computer-animated feature film titled Epic, with Joyce as writer, executive producer, and production designer. In 2014, Moonbot received two Daytime Emmy Awards for their animated short film, The Scarecrow.